1. Heat a tablespoon of Nature’s Approved Coconut oil in a casserole pot or a large saucepan. 2. Add the lamb and stir around on high heat until slightly browned, about 3-4 minutes. Add the onion, chilli and celery and cook for about a minute, until slightly softened. Bring the heat down to medium. 3. Add garlic, garam masala, turmeric, fennel seeds and ghee (or extra coconut oil if avoiding dairy). Stir through the lamb and cook for a minute to let the spices release their aromas. 4. Add coconut milk, tomato paste, water and sea salt. Stir and bring to boil. Then turn the heat down to simmer and cook for 1 hour, covered with a lid. Stir a couple of times. 5. After one hour, add the diced carrot and cook for a further 30-40 minutes, covered with a lid. Stir a few times. 6. Sprinkle some fresh coriander or parsley and drizzle a little lemon or lime juice before serving. Serve with your favourite vegetables or cauliflower rice, or real white rice if your heart so desires. • If your inner pot is metal and heat-proof (i.e. not ceramic) then it can actually go over a stove and you can do Steps 1-4 below on the stove first. It’s pretty easy and you will only need 5 minutes for this. You basically want to brown off everything before setting the slow cooker on. Otherwise, if it is a ceramic crockpot, then do Steps 1-4 in a pan or a saucepan first and then transfer the whole mixture to the slow cooker pot. • Heat a tablespoon of Nature’s Approved Organic coconut oil in a casserole pot or a large saucepan. • Add the lamb and stir around on high heat until slightly browned, about 3-4 minutes. Add the onion, chilli and celery and cook for about a minute, until slightly softened. Bring the heat down to medium. • Add garlic, garam masala, turmeric, fennel seeds and ghee (or extra coconut oil if avoiding dairy). Stir through the lamb and cook for a minute to let the spices release their aromas. • Add coconut milk, tomato paste, water, sea salt. You can add carrots now and forget all about it but they might be a little softer than in my recipe or you can add carrots at a later stage (see below). Stir through. • Then, cover with a lid and set the slow cooker to 8-9 hours on LOW, 5-6 hours on MEDIUM, 3.5-4 hours on HIGH. If adding carrots later, do it in the last 30 minutes to 1 hour (depending on the heat setting). 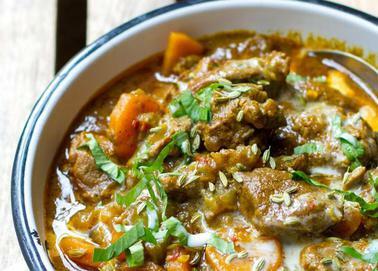 Indians' love of lamb rival any gastro-ethnic group. This lamb biryani is a delicious, paleo-friendly take on classic Indian biryani by adding succulent lamb. Using New Zealand lamb is especially good because of the extra tenderness the variety is famous for over other regional lamb varieties. 1. Cook the basmati rice with just under 3 cups of water in a rice cooker. If you are cooking rice on the stove, place it in a pot with the water and bring to the boil. 2. Turn the heat down and cover the pot. Cook the rice for 10-12 minutes or until done. 3. Once the rice is ready, put it straight in the fridge so that it cools down and dries out. 4. Saute the onion in a medium saucepan over a moderate heat until translucent. Add the garlic and fry for 1 minute. 5. Add the spices including the cinnamon stick and fry for 2-3 minutes to release the oils. Stir well. 6. Add the ground lamb or lamb ribs. Stir well to coat lamb in the spices. Add the salt. Lower the heat slightly and cook lamb for about seven minutes for ground lamb or ten minutes for the ribs or until browned. 7. Add the chopped canned tomatoes and about 300ml of the sauce from the can. 8. Stir well and then add the green beans. 9. Cover and simmer on a low heat for 25 minutes. 10. Carefully combine the lamb mixture with the rice and mix thoroughly to coat it. 11. 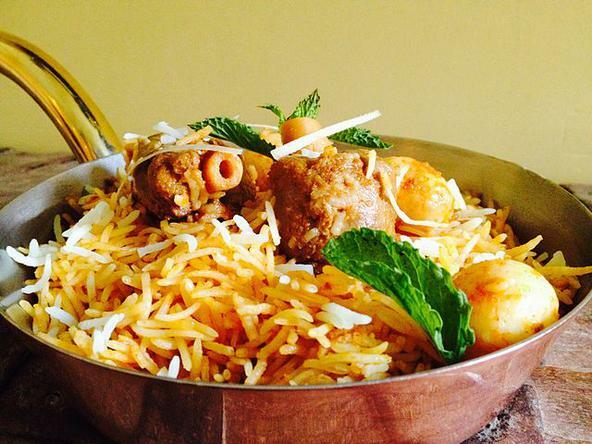 Squeeze some lemon juice over the biryani and stir well. 12. Sprinkle with fresh herbs and serve immediately. Set the Instant Pot to high heat in Saute mode. While the pan is heating, rinse, thoroughly dry, and season your lamb shanks. Add about 2 TB of olive oil to the pot and brown the lamb shanks on all sides, being careful not to crowd the pan. 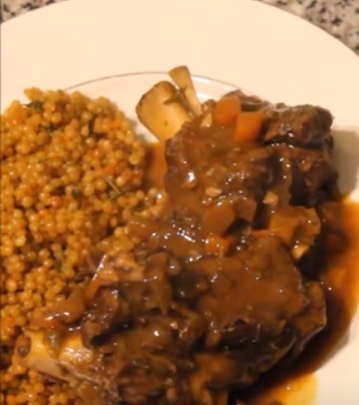 When the lamb shanks are browned, remove them to a plate. Next, add in your onion, carrots, and celery and sweat them until they are tender. Next, add in the garlic, chilis, smoked paprika, cumin, cinnamon, and bay leaves and cook until the chilis and garlic are soft. Add in your tomato paste and cook it for just a few minutes to toast it a bit and cook out the tinny flavor that can be found in most canned and tubed tomato pastes. Next, add in your red wine and let it cook until it reduces by about half. Finally, add in your sugar, herb bundle, and chicken stock and then return your lamb shanks to the pot. Place the lid on the Instant Pot and select the Meat/Stew setting (35 minute cook time). When the shanks have finished cooking, release the pressure and remove the shanks and herb bundle. Mix your cornstarch and water together. Return the Instant Pot to Saute mode, add in your cornstarch slurry, and stir until the sauce thickens. Serve the meat topped with the thickened sauce and enjoy! Set the pressure cooker over medium high heat. While the pan is heating, rinse, thoroughly dry, and season your lamb shanks. Add about 2 TB of olive oil to the pot and brown the lamb shanks on all sides, being careful not to crowd the pan. When the lamb shanks are browned, remove them to a plate. Next, add in your onion, carrots, and celery and sweat them until they are tender. Next, add in the garlic, chilis, smoked paprika, cumin, cinnamon, and bay leaves and cook until the chilis and garlic are soft. Add in your tomato paste and cook it for just a few minutes to toast it a bit and cook out the tinny flavor that can be found in most canned and tubed tomato pastes. Next, add in your red wine and let it cook until it reduces by about half. Finally, add in your sugar, herb bundle, and chicken stock and then return your lamb shanks to the pot. Place the lid on the pressure cooker and allow the pot to come up to pressure. When the pot has pressurized, let the shanks cook for 35 minutes. When the shanks have finished cooking, release the pressure and remove the shanks and herb bundle. Mix your cornstarch and water together. Put the pressure cooker over medium heat, add in your cornstarch slurry, and stir until the sauce thickens. Serve the meat topped with the thickened sauce and enjoy! Incredibly fancy, yet very easy to prepare, this dish will wow any guest. The first time we prepared it, it was for Easter. We ordered a beautiful piece of New Zealand lamb from our local supplier and was very excited to do the animal right with this recipe. The outcome was everything we could've hope for- tender licking good with the perfect balance of the natural lamb flavor, herbs and seasonings. If you tried this recipe, we'd love to know how it turned out. Please comment below. 1. In a non corrodible baking pan, combine the wine, soy sauce, garlic, mint, rosemary, and pepper and pour over the lamb. 2. Refrigerate covered for at least 6 hours (overnight is good), turning the lamb frequently. 3. Prepare hot coals for barbecuing. 4. Drain the meat but reserve the marinade. Barbecue the lamb for about 20 minutes on each side, basting frequently with the marinade. 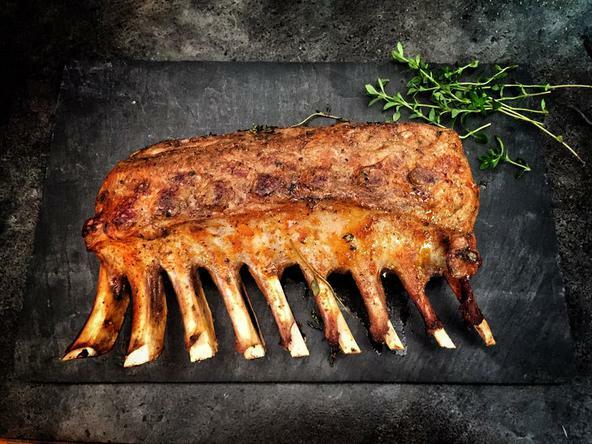 Check the lamb for doneness frequently after 30 minutes' grilling (meat thermometer helps.) Cut into very thin slices and serve immediately. 1. Preheat the oven to 290F. 2. Cut the potatoes and sweet potatoes into inch-thick slices. Cut the onions in half and then place vegetables into a baking tray. 3. Drizzle the vegetables with olive oil and sprinkle on some salt. Place tray in the oven on the bottom rack and roast. 4. Cover the lamb in olive oil and then sprinkle with sea salt. 5. Use the point of a sharp knife to make small incisions all over the lamb. 6. Place the garlic slivers and rosemary springs in the holes. 7. Place the lamb onto the middle oven rack with the vegetable baking tray beneath it to catch drippings. 8. Roast for 90 minutes. Test meat to see if it's done by slicing it in the thickest part. Remove from oven and transfer to a plate to rest. Cover lamb in foil and let it sit for 10 minutes. 9. Serve with potatoes, onions and mint sauce. 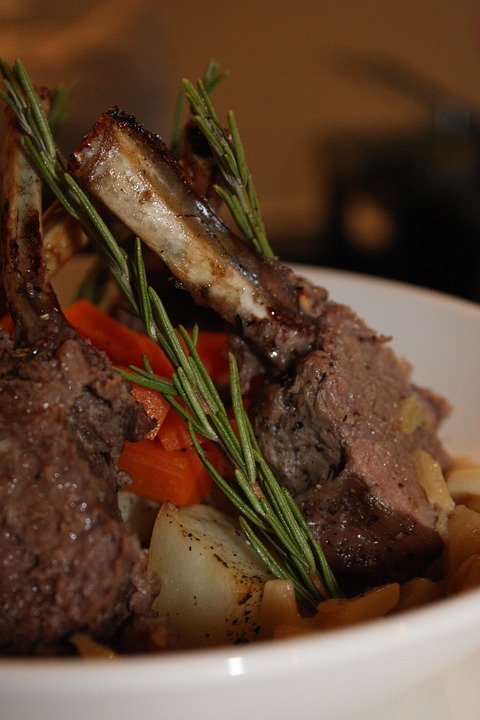 We will become the best source of lamb recipes, especially New Zealand lamb, on the Internet. Your comments and contribution would be welcome. The premium domain name SpringLamb.com is for sale.